I remember when no one knew who Iggy Azalea was and she was just like thousands of other rappers, and that is white and female to make it even more narrow, and now she has finally broken through. Hell even as of last year there were serious questions if the album would ever even see the light of day because she was in label disarray. It could be seen easily that she might just fade away like so many others. However she was big international even without an album, with singles that popped and made it to the top overseas easily. Yes, we could possibly attribute that to her skin color and the fact she isn't an American because those things do hold some sort of weight but she still lacked the success on these shores. So what exactly are people offended by when it comes to Iggy? In my opinion it's that she is winning. When she was on the brink of failure the past couple of years no one was worrying about whether she was authentic or a real representation of hip-hop. No one questioned her as a credible artist until she finally broke through and became a chart topper this year. But why would they anyway? Is it her content? In that case then 90% of today's artists would fit that criteria because all they talk about is the same things, the trappings of success and luxury. At least Iggy has some type of unique story. She came to this country at 16 to pursue a foreign dream that she had wanted for years. Most of you won't even go to a new place to eat because you're scared of how the food might taste and you don't like her because of her story? I don't understand how sometimes the rules change so arbitratily when we talk about rap music. We are truly worldly and global now, influencing people of all ages from all over and then when they become a success we try to say why they don't deserve to be here. 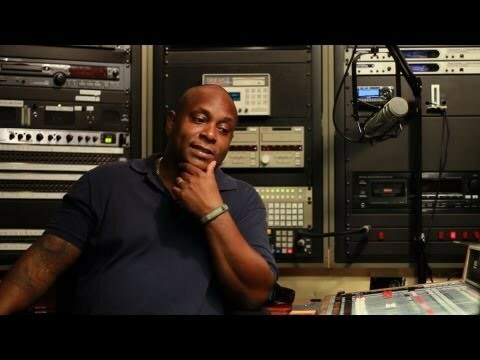 I generally love the Combat Jack show but I was listening to the beginning of his latest episode with Freddi Foxxx and Reggie Osse aka Combat Jack kind of went in on how he was at a Complex Mag roundtable discussion (which i'm searching for) and that she isn't a credible rapper. I respectfully disagree with Combat because you have to define what is credible. What makes someone credible. There is nothing I have seen her present that seems to be artificial or made up in order to be popular. Conversely a lot of rappers brag on selling more drugs and holding more guns than they have ever done in reality. Does that make them credible? Is it race? Is it Gender? Is it that she is being marketed to the pop market now and not the urban market? Thats the question I ask people when they are quick to knock Iggy. I have never even heard this term used until now. That's probably the most frustrating part to me that there is this inconsistent standard placed upon certain people and that Iggy is now being reversely singled out kind of how Eminem was. It's this whole idea that Hip-hop is black music, and yes like many other forms of expression it was almost uniquely ours and more than most others it still remains that way but things change. She isn't the best rapper, she isn't the best female rapper, she just exists but she fits in a fun area that isn't bothering anyone but how it is more or less credible than anyone else I can't see. Nelly fit into this lane when he dropped. Flo Rida is settled right into this area as is Pitbull. Honestly it feels like a rejection of mainstream success, the way we used to call people who got massive radio play commercial, like someone wanted to say no to the radio if they chose to play their music. Everyone wants to have success, there are just varying levels of it. I'm not sure what she has done to make her less credible nor who that is in comparison to in the first place. We have to look more into this issue because it reeks the same way as the "realness" debate which makes no sense. In a world where Puffy can tell you he doesn't write his lyrics there is no longer any way I can really look at anyone else and ask if they are credible. By the way if you don't already - Go listen to the Combat Jack show. There is a wealth of great podcasts over there that we definitely need to be taking advantage of.